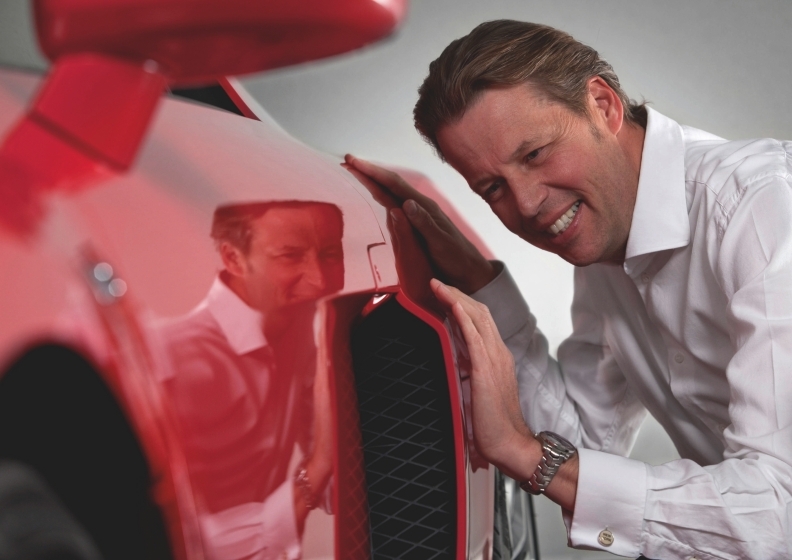 Audi design head Stefan Sielaff: "To a great degree, design set the tone in the past. In the future, the strength will lie in the interaction and innovation of design, technology and production. A beautiful wrapping won't be enough." Audi chief designer Stefan Sielaff is embracing the challenges that come with styling the cars of the future. He says that new powertrains and new materials are "revolutionizing" Audi. The 49-year-old German, who has been head of Audi design since 2006, says Audi has given him a bigger budget and a larger staff to help the company stay competitive. Sielaff talked with Pia Krix, a reporter with Automotive News Europe sister publication Automobilwoche. What effects do alternative drivetrains have on design? Design is facing a major challenge because of cultural and technological changes, but they also present us with a unique opportunity. We are in favor of a paradigm change in our layout, in our package configuration, and therefore in the overall proportions. New drivetrains, whether they are electric, hybrid or something else, are revolutionizing the entire company. And so far no one knows where it's taking us. How is lightweight construction changing design? The choice of the material has an influence on design. An aluminum body does not have the sharpness of a steel body. In turn, I can make edges even sharper with carbon. You sense these effects in detail in the design language. Will the toward greater environmental awareness continue? I am convinced that this trend will even become stronger. And a growing number of people will ask themselves what they are lugging around and what is burdening their lives. In certain parts of the world, the saturation will grow to the extent that it will be a form of luxury to have as little as possible. I sense a certain purism among the very young people who join our design team. They laugh about our values. What will future green cars for megacities look like? Compact. Efficient. Lightweight. Pure. We designers want to satisfy the desire for authenticity: The car should mirror what it carries inside. Will design be a key purchasing factor in the future? To a great degree, design set the tone in the past. In the future, the strength will lie in the interaction and innovation of design, technology and production. A beautiful wrapping won't be enough. Customers want a holistic product that answers all the environmental questions. Are you getting a larger budget so you can handle fresh challenges? Yes, I now have the opportunity to hire more people. We can only bring about a paradigm change if we take care of the product portfolio that we have built up and have time for research at the same time. Does the auto industry have enough designers? The lack of new talent is an important issue, and we have to brace ourselves for it. For demographic reasons, we are going to get fewer specialized staff. By contrast, young talent is on the move in other countries, in China and India. We are indeed an international company, but we have to position ourselves more globally in the future. What role do women play in automotive design? Compared with the overall auto industry, we are not understaffed when it comes to women. But a classic division prevails in our area as well: Women handle interior design while exterior design, with its technical requirements, remains a male domain. But it is absolutely important to know how what women respond to in a car. That's why we want to form mixed teams. But as long as just a few women complete the training, we cannot recruit very many.